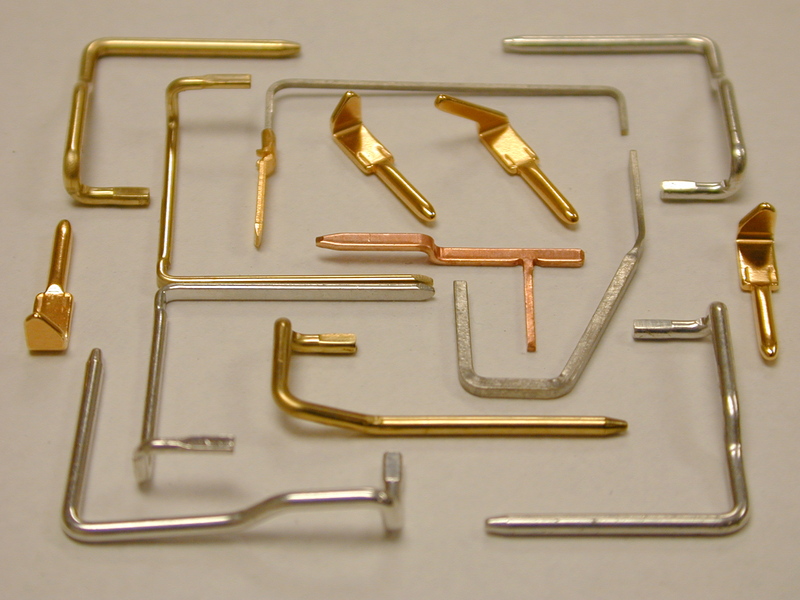 Electronics | Rowley Spring and Stamping Corp.
Rowley Spring and Stamping Corp. produces custom springs and stampings as small as 2mm x 2mm x 4mm for electronics and packages them to EIA standards for those who utilize surface mount applications. 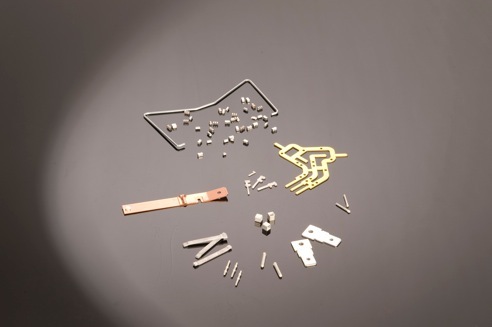 Our packaging techniques allow us to handle various volumes of parts to satisfy customer annual requirements. Stamped components are either formed or produced from solid stock, depending on customer design. These components are packaged using a number of different methods. Formed components are typically produced on a strip and packaged using a secondary automated method. Solid components, contacts, and terminals are bowl fed for orientation and then placed in the appropriate carrier tapes. Rowley custom designs and builds our automated packaging systems to accommodate a wide variety of part configurations. Utilizing state of the art vision systems, inspection is performed in line where specific part orientation is required. Our capabilities include compression springs, extension springs, and different kinds of stamping and packaging.